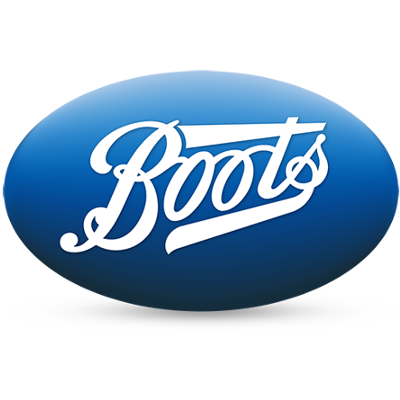 The intense moisturisers in Boots Mature Skin Repair range have been specially formulated for people with more mature, dry skin. 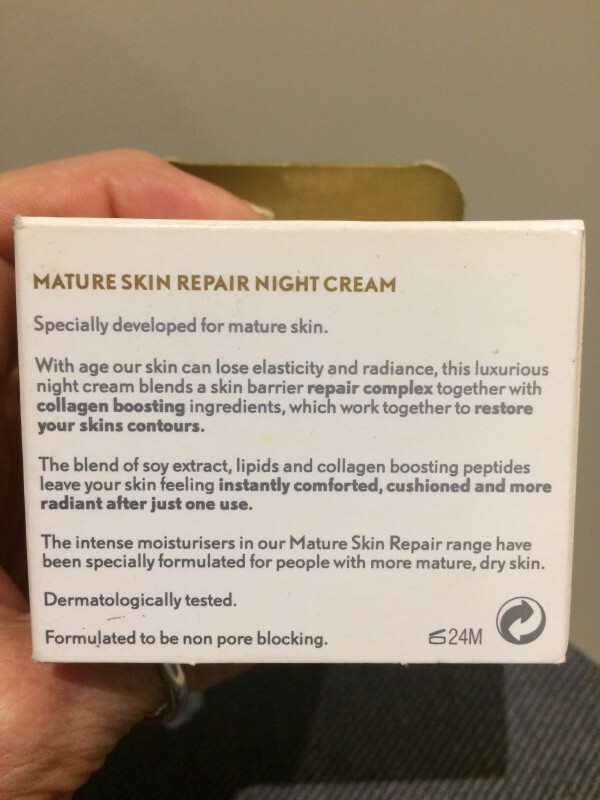 With age our skin can lose elasticity and radiance, this luxurious night cream blends a skin barrier repair complex together with collagen boosting ingredients, which work together to restore your skins contours. The blend of soy extract, lipids and collagen boosting peptides leave your skin feeling instantly comforted, cushioned and more radiant after just one use. Dermatologically tested. Formulated to be non pore blocking. Using gentle upward strokes, smooth over face and neck. Apply every evening after cleansing and toning. 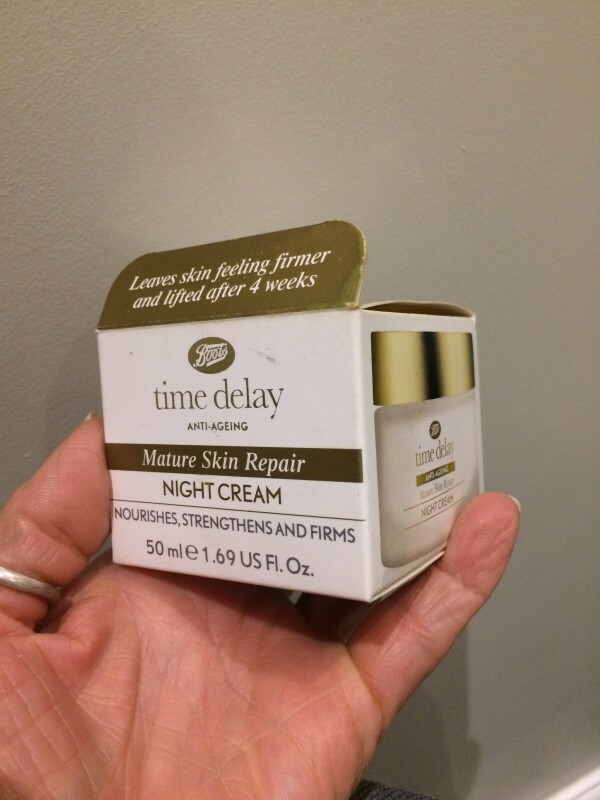 For best results use in conjunction with Time Delay Mature Skin Repair Day Cream and Mature Skin Repair Eye Cream. 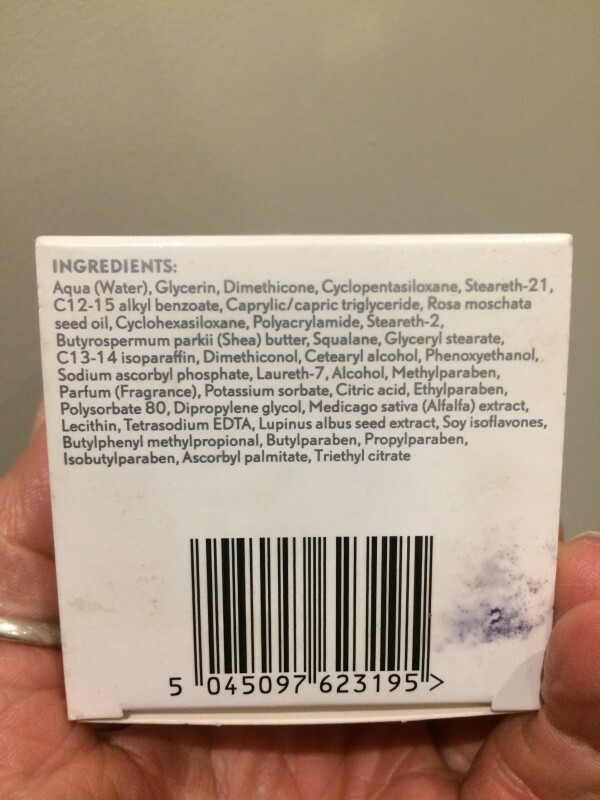 I can't find these on line so will take a photo of my box with ingredients listed. I was happy with this but do now look for more natural products. This was one in my stock pile that I thought I better use up. 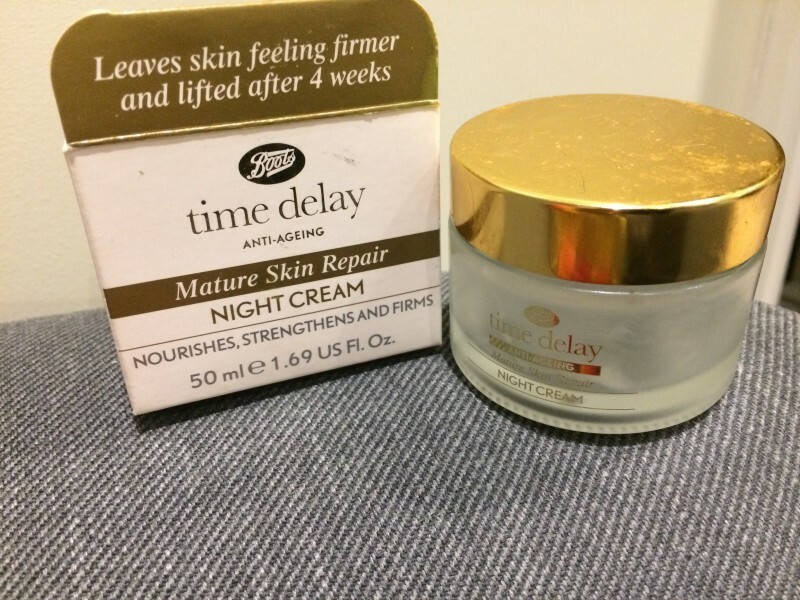 This was a nice rich creamy but not heavy or greasy night cream from Boots Time Delay range. "I was happy with this but do now look for more natural products. This was one in my stock pile that I thought I better..."